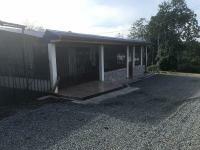 For sale a property with two houses in Palmares. 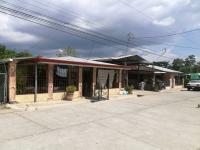 Property with a house of 15 meters in front by 25 meters deep. It has 3 rooms, living room, dining room, kitchen. Ceiling newly installed in metal. Entrance in cement for 5 cars. Electric door. Front with gates. 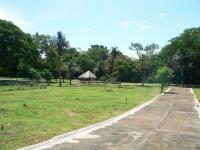 It has a large ranch with bathroom and independent service of the house and a cabin on the second floor of the ranch. Large rotisserie and wood stove. 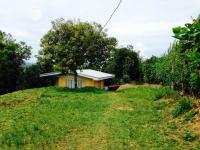 It has fruit trees of avocado, lemon acid, orange, banana and banana plants. It has a pond for tilapia. Three own water intakes, plus aqueduct potable water as well as public electricity service. Wide green areas with palm trees. Land with planned for the construction of swimming pool. Super safe, facing public street with green area in front and a river in front.